Fixed damaged toilet closet flange and installed new toilet. 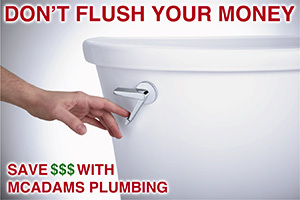 I received great, friendly, punctual, high quality, professional service from McAdams Plumbing. Rick came out and gave me an estimate. 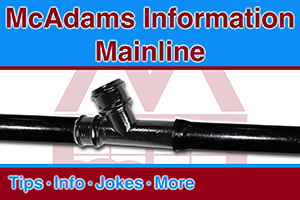 The issue I had was an improperly installed toilet (from the previous occupants), had been leaking around the drain pipe for quite some time. Once I removed the old toilet I discovered a damaged closet flange, which was also set too low. After I decided to go ahead and schedule the work, Rick came by in the morning, repaired the damaged closet flange (it was a copper flange on copper drain pipe), brought it up to the correct height, and installed the new toilet (which I had purchased myself). He also provided a one year guarantee on the work, and charged exactly the same as the estimate. Thank you so much Zach for that glowing review! We’re so happy you were pleased with Rick and our company. If there’s ever anything thing we can do for you in the future please do not hesitate to call. We’ll be here.